MACLEAY Valley Coast Holiday Parks on NSW's mid-north coast has launched an innovative lay-by payment option. The move is aimed at making holiday planning a little easier on the pocket, especially leading into the busy seasons. The lay-by option is available when booking online for stays of $200 or more and gives consumers the choice between making direct-debit instalments either weekly, fortnightly or monthly. The industry-first system was developed by the Australian Tourist Park Management last year. It was rolled out for the first time across the NRMA Parks and Resorts and has been a popular choice for consumers when booking their stays. General manager (marketing and sales) Deborah Holland said the response had been positive and well received, with families and other travellers using the option on 29 percent of eligible bookings. "We are committed to making holidays more affordable to guests, regardless of whether they choose to pitch a tent, roll up in the caravan or stay in a cabin," she said. "Camping and holiday park experiences are all about connecting with family, friends and nature and forgetting about every day stresses like money. "If guests arrive at our holiday parks happy, without a big up-front purchase, their holiday is off to a cracking start and our managers can focus on making the rest of their stay enjoyable." 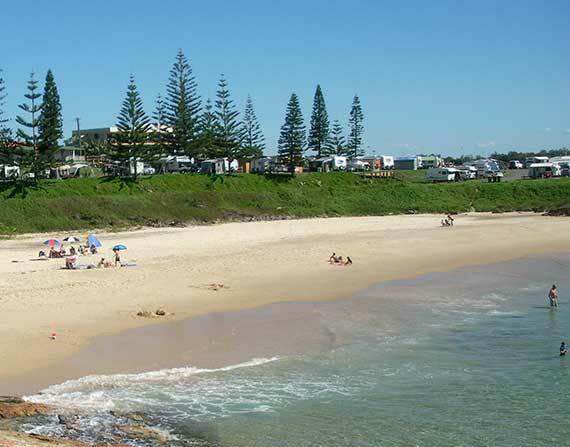 The Macleay Valley Coast Holiday Parks are located in prime locations along the NSW mid-north coast and are popular with surfers, fishers and holiday-makers looking to get back to nature. These popular holiday spots include Hat Head, Horseshoe Bay at South West Rocks, Grassy Head, Stuarts Point and Crescent Head. For more information on the payment plans or to book a holiday, click here.